In the Pacific Northwest between the months of October 15th and April 15th, we experience the wettest season of the year when all plant and ground materials are completely saturated. We plot our areas for controlled burns of trees, stumps, shrubs and natural vegetation that have all come down throughout the winter storm months during this very low fire-risk time. The Department of Ecology State of Washington and local fire departments issue burn permits for land clearing and agricultural purposes depending on each year and the risk assessment of forest fire. 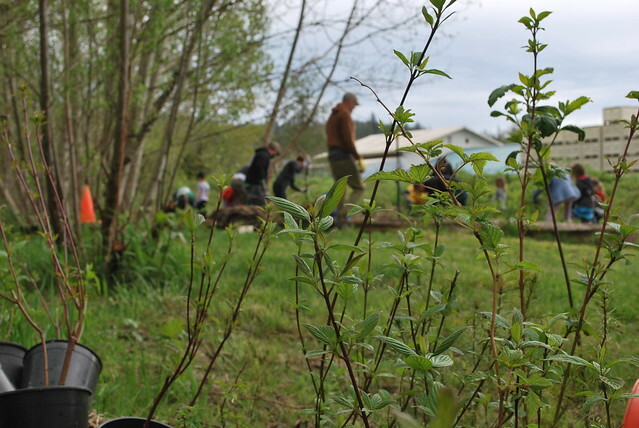 As we get closer to the April 15th deadline on a much smaller scale, many local residents and farmers in the Carnation Valley are doing a little fire catch-up to clear out and clean up their excess through the old age practice of burning. The smell of smoldering smoke pervades the valley and a wonderful aroma fills the air while we make our way into spring. This is the last dance of wet winter! Saying goodbye to winter and making way for the new season, the fires signify a smudging as in many cultures to purify the air and celebrate all the good to come. Walking the fields and smelling the multiple fires is like sipping delicious mezcal with an old friend as we give the last hurrah to our rainy season.